Thank you again for our stay at your cabin off the Parkway. Your cabin was very comfortable and you can tell it’s a place you’re so proud of. We enjoyed grilling out and hanging in the Hot Tub at night. Also Disc Golf in NC and TN were close by and tons of fun. 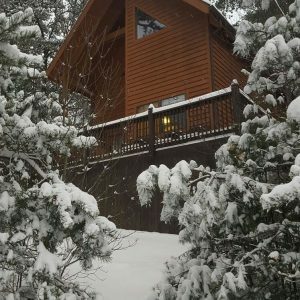 The privacy was wonderful and we thank you again for making your adorable cabin available to us.